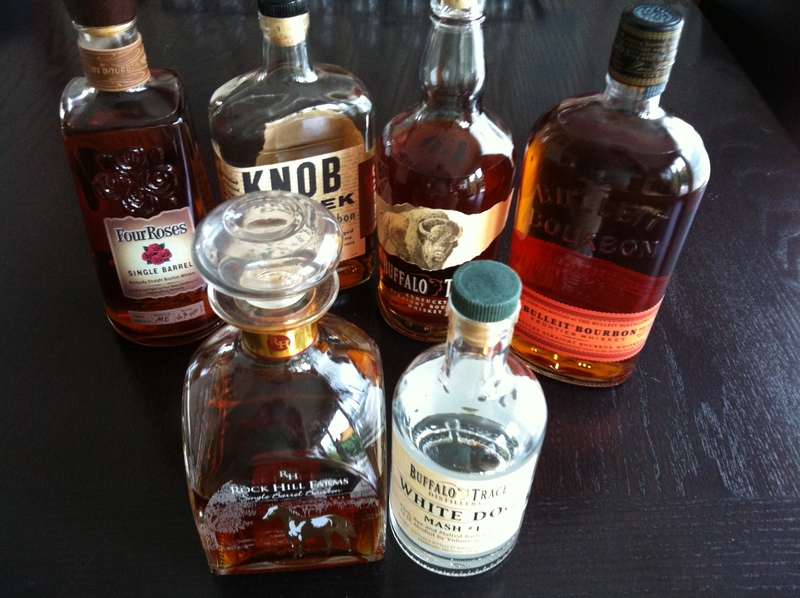 Yes, there’s a bourbon shortage… just not at my house. Small Batch Bourbons were the first to get hit with a Bourbon Shortage… nearly FOUR years ago. They took it in stride and called it a “good problem to have”… I, on the other hand, was weeping into my Manhattan as Knob Creek and Booker’s were my favorite Bourbons at that time. Earlier this year, Maker’s Mark announced that they were cutting their Bourbon from 90 proof to 84 proof to keep their booze on store shelves. (They later decided to cancel that action, due to severe customer backlash.) As I’ve never cared for Maker’s Mark, that news didn’t make me wince. BUT… the realization that smaller bourbons like Pappy Van Winkle, Rock Hill Farms, and Jefferson’s were nearly impossible to find did cause some concern. And now that Buffalo Trace is reporting a shortage, I’m in full-on panic mode. As aged spirits that need to sit for 8, 9, 10, 12, even 20 years; distilleries can’t simply “make more” bourbon. They needed to lay more down a decade ago! Huffington Post reports that American Whiskey, a sub-category of Whiskey, is experiencing a growth rate similar to Vodka. Vodka is the #1 spirit in the world and makes up about 1/3 of ALL ALCOHOL SALES on the planet. So, a subcategory that claims roughly 8% of the market is booming! And Kentucky distilleries can’t keep up. Distilleries can’t simply “make more” bourbon. They needed to lay more down a decade ago! I’ll put it another way: when your favorite bourbon is off the shelf at your local liquor store, you might not see it again for another 8 months. And then your second fave will disappear. And then the stuff you drink only at a friend’s house because it’s all they have… yeah, that’ll be gone too. And then… no more Bourbon Neat. No more Bourbon on the Rocks. No more Manhattans, no more Monte Carlos, no more Old-Fashioneds, no more Black Eyed Susans… *shudder* no more Chapel Hills! If you cherish your Bourbon or like being a thoughtful host of parties, run out and get two bottles of your favorite Bourbon now. I mean right NOW. If you wait, it might be gone… until next year’s batch is ready.